SEATTLE — Those living in the Northwest know the next big earthquake could happen at any time. However, an article in the New Yorker takes that threat a step further, detailing what will happen when it does hit. Experts say older buildings and structures in Seattle, like the Alaska Way Viaduct, would be most vulnerable during an earthquake, but they don’t believe the devastation is going to be like anything depicted in the movies. John Vidale is the state’s seismologist, and he has his own idea of what that means. When there are multiple fires happening at once, it can be extremely confusing to know which fire might impact you or your friends and family. 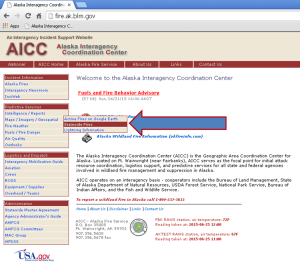 Fortunately, there is an interactive map developed by the BLM Alaska Fire Service that can help you learn more about the fires most important to you. This map tool isn’t perfect and is not updated in real time, but it can be a great tool to give you basic information about incidents. 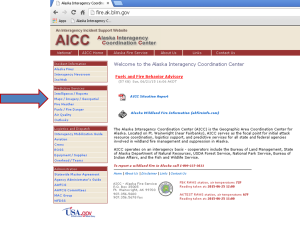 You are also welcome to call the Fire Information Center at 907-356-5511, either to learn more about this tool or to learn more about fires you’re interested in. Click on the “Statewide Fires” line and your map will open in a new window. With the story flying around about OK Google listening to private convos, I can see using the Off button a lot. Amazon’s Amazon Echo voice-activated, connected home command center is now available for anybody to purchase. The Siri-like device will start shipping July 14. The cylindrical Echo, which responds to voice commands and allows a user to learn the weather, set alarms, and listen to music, had a limited launch in fall 2014. Since then, Amazon has added many new features to the Echo, including compatibility with the music streaming service Pandora, the audiobook service Audible, and more. I’m sorry but this is really disgusting sounding. Well. That was bound to happen eventually….. I worry about the security ramifications here. I won’t be using Facebook as a monetary tool any time soon, either.